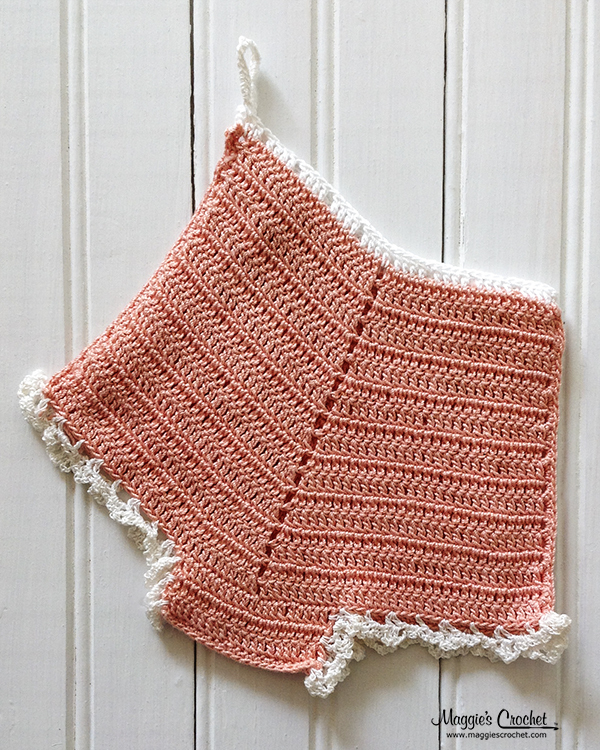 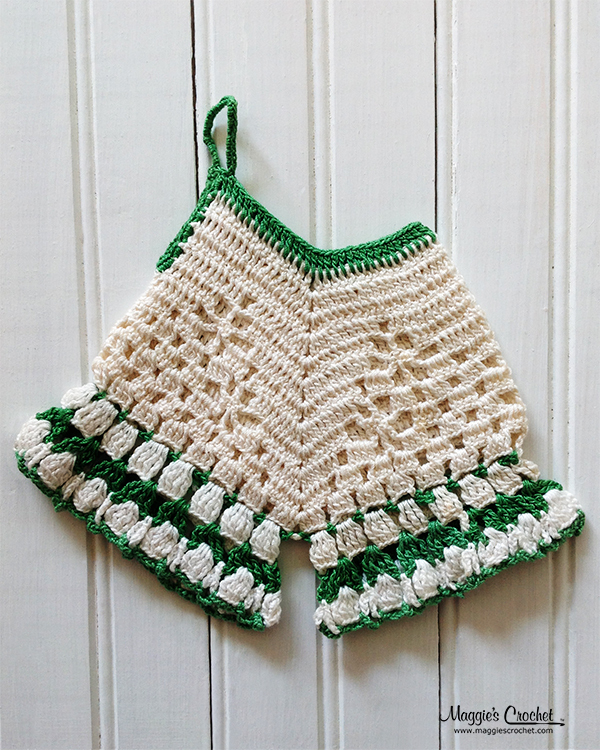 You may have seen the cute little dress potholders, but what about the bloomers? 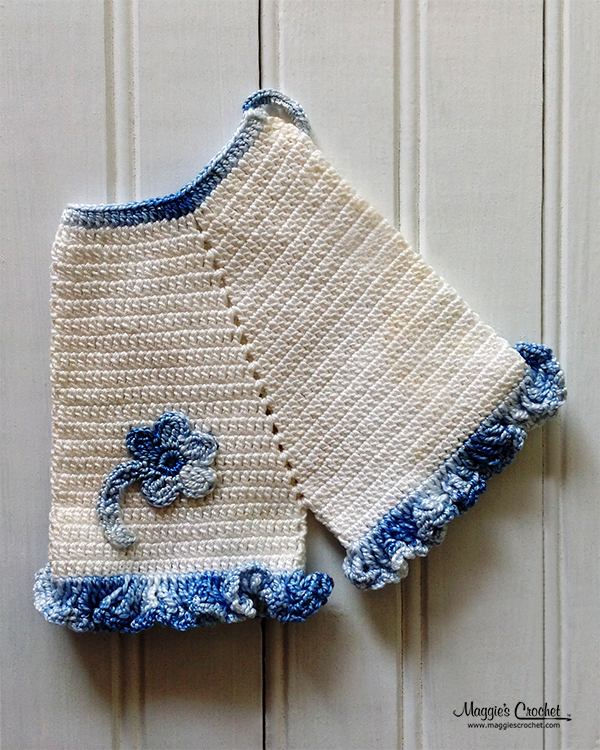 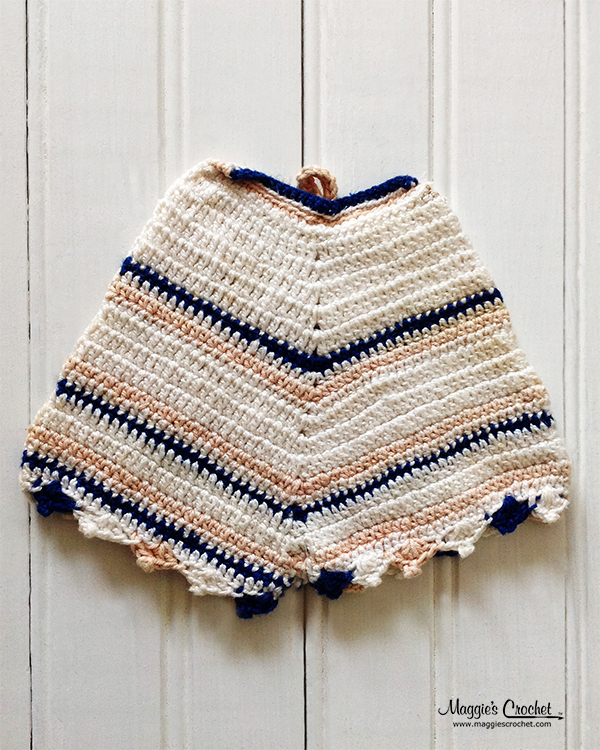 These little shorts were often called ladies bloomers, and have a similar history to the dress potholders. 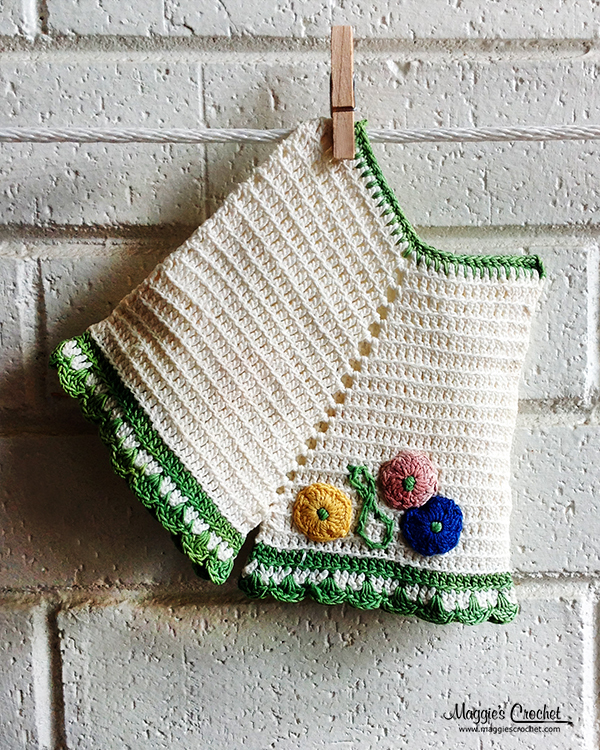 Vintage crochet potholders like these were made in the late 1940’s, after the war, though about 1960. 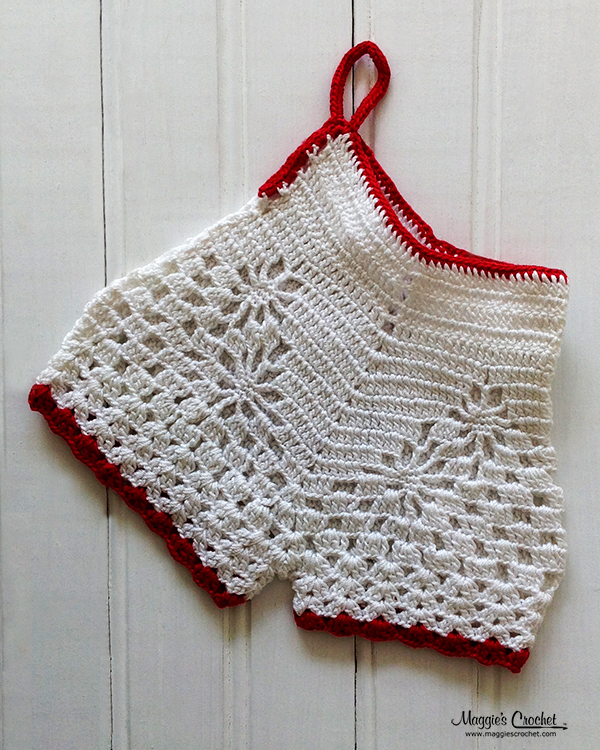 The bloomers were often detailed with lace or colorful edgings to give them a fine crochet or delicate appearance. 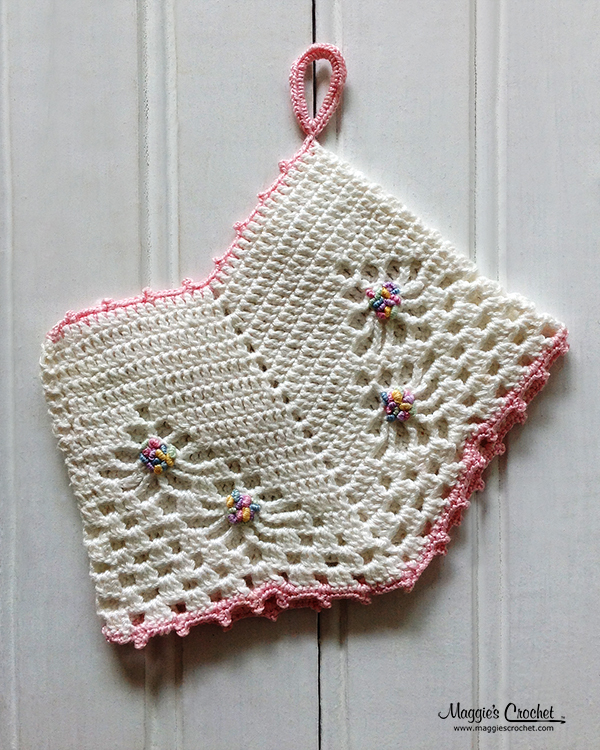 It is obvious the bloomers were made to be a potholder if you find a loop on one corner to hang the potholder when not in use. 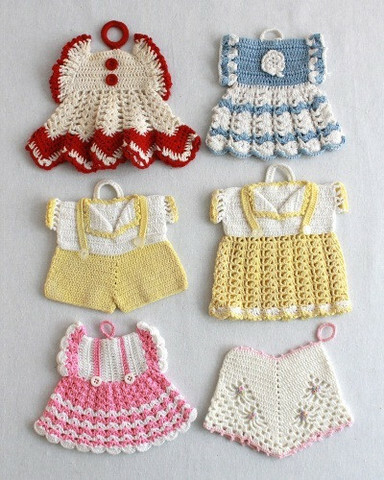 This sets the bloomers apart from being doll dress up clothing for children. 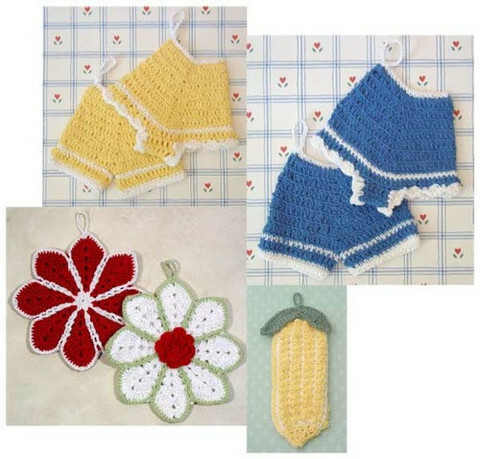 Vintage bloomer potholders have an intricate look, but these decorative kitchen accessories are not difficult to make. 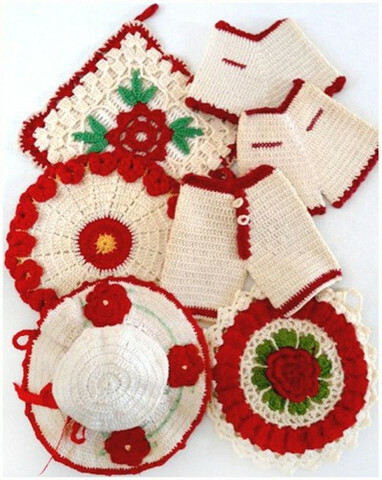 Many collectors want original potholders from the 1940’s or 1950’s. 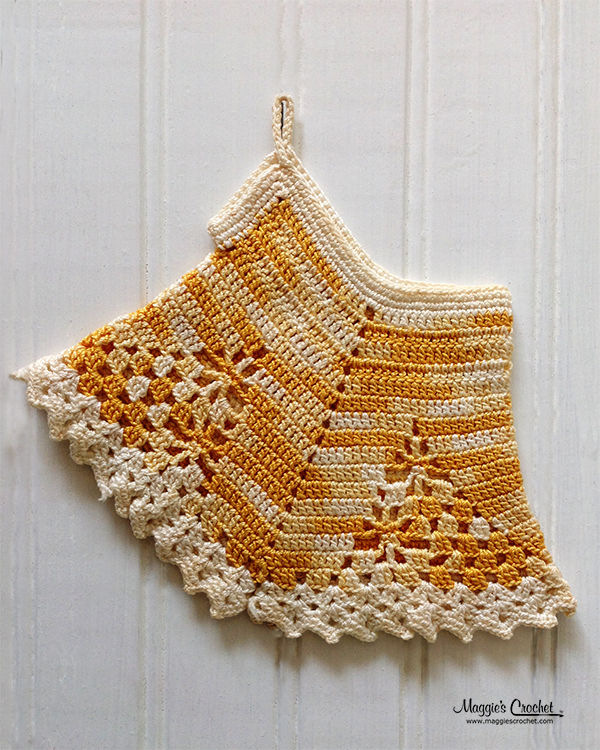 These same potholders have also been kept alive in crochet patterns. 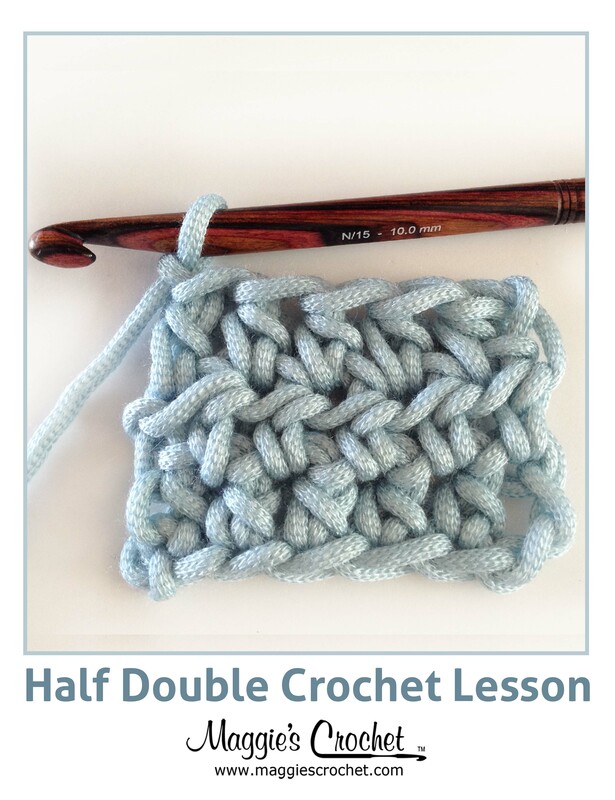 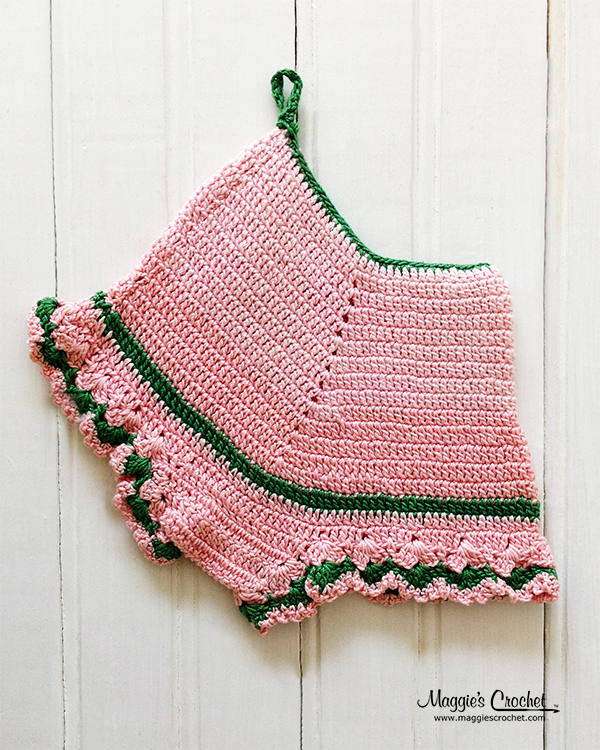 Make your own using one of Maggie Weldon’s easy-to-follow crochet patterns found at Maggiescrochet.com. 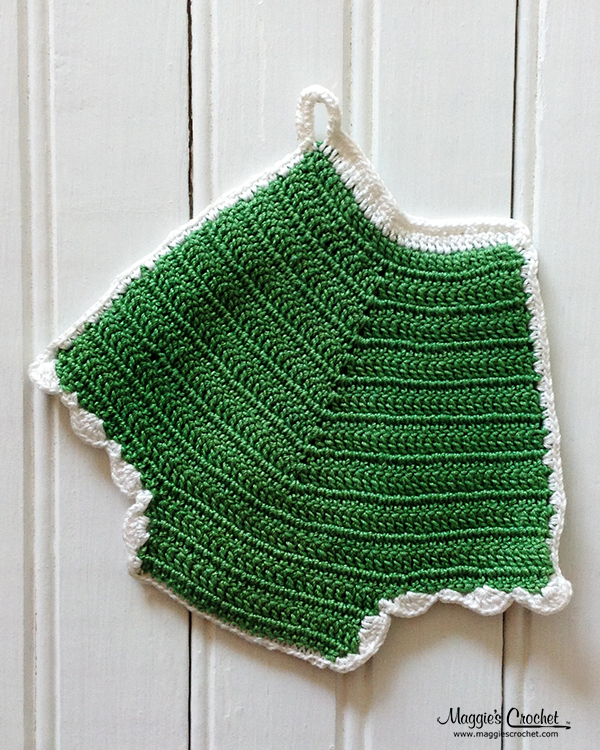 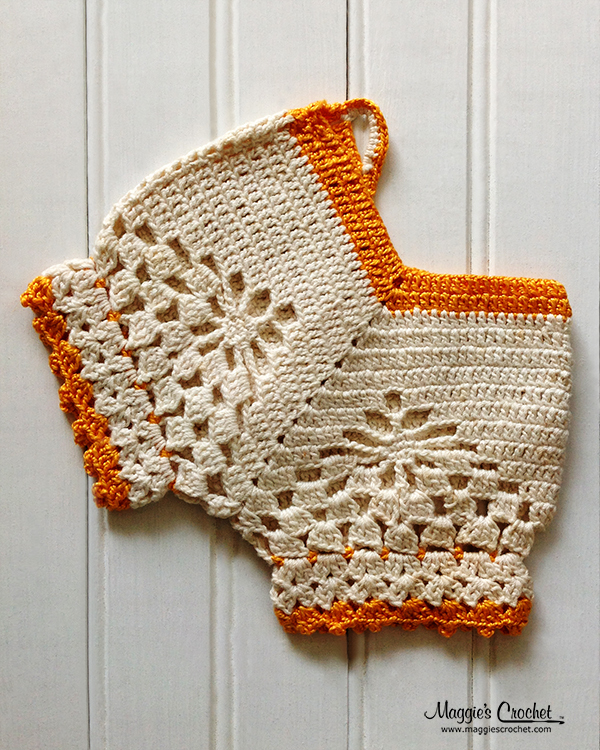 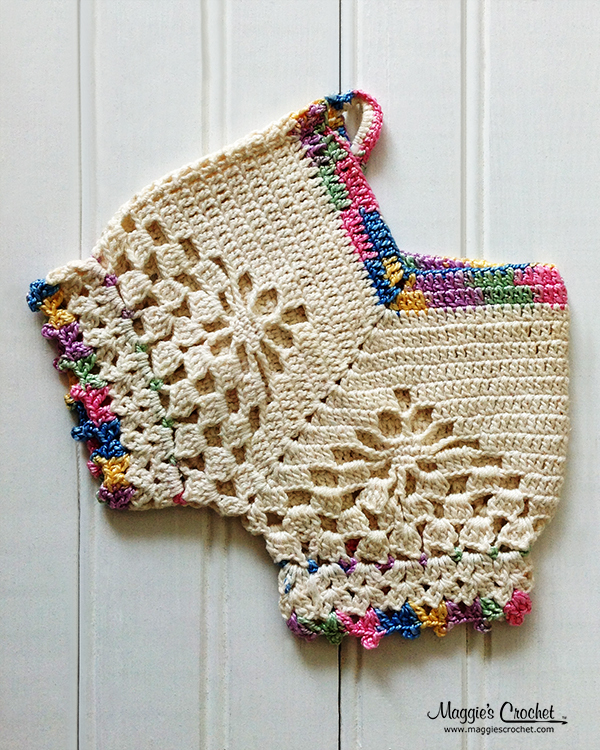 To learn more about Maggie’s Vintage crochet, and find more vintage patterns, click here.